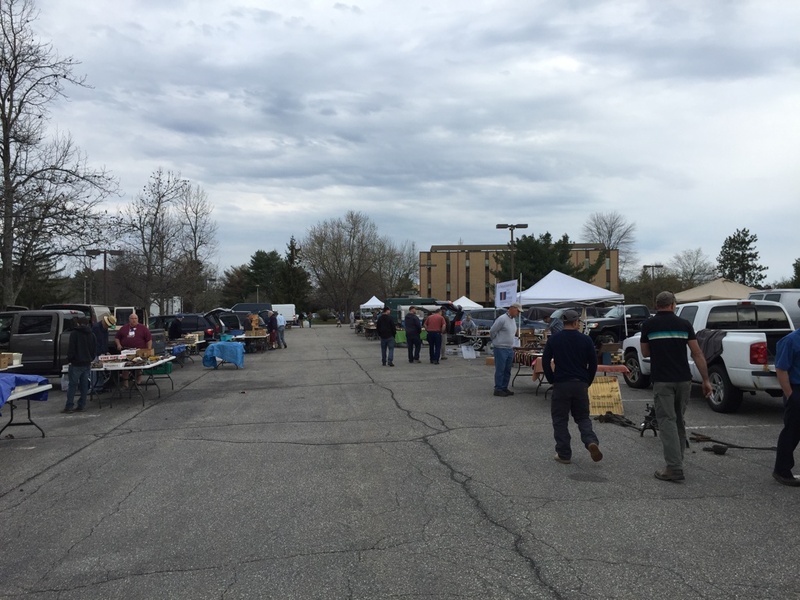 Time for my semi-annual post about the Nashua ‘Live Free or Die’ Tool Show and Auction. Wait, didn’t that happen back in April? Yep. I’m really behind on my blogging as I have been busy working, writing, teaching and helping with our second baby. Having two kids under 2 years old is definitely exhausting. So there will be a few posts here and there out of time as I work through my backlog. 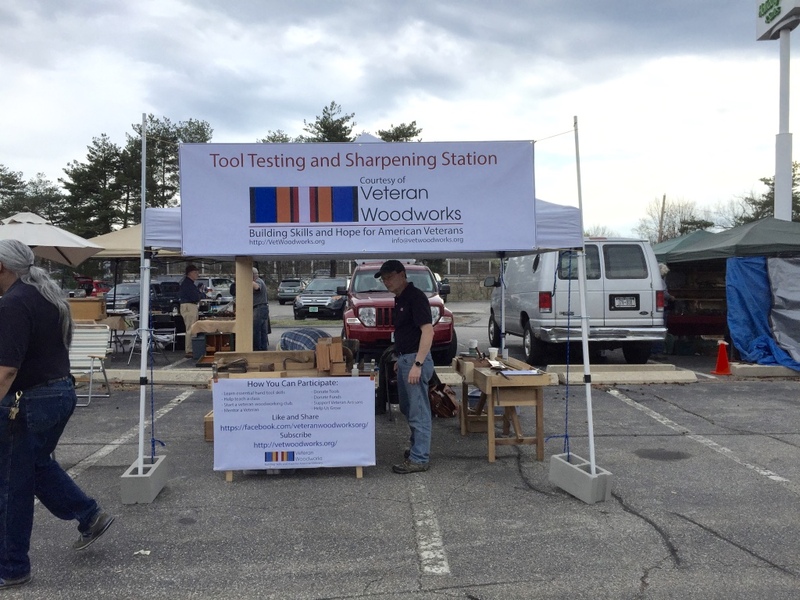 A new vendor/booth I had not seen before was the Tool Testing and Sharpening Station that was put on by the Veteran Woodworkers Association — a great place to sharpen and test out your new tool purchase. It was an overcast day with the threat of rain so I think turnout was a little lower than average and my new job is a lot further away from home so I didn’t get to spend as much time at the show as I normally do. Vendor with an extensive collection of tools make from bones and ivory. 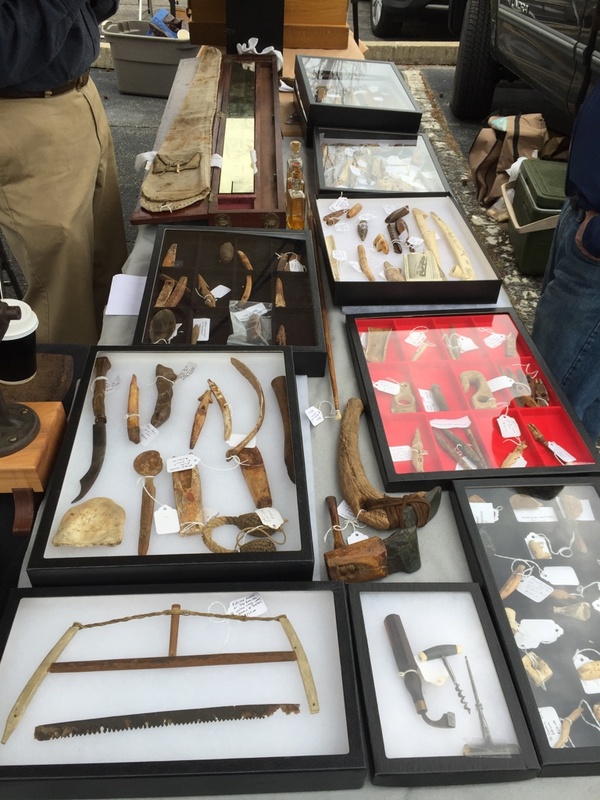 There was not a lot that jumped out at me this year, but one vendor had a pretty extensive collection of native and ancient tools. He also had a lot of tools made from ivory and bone. 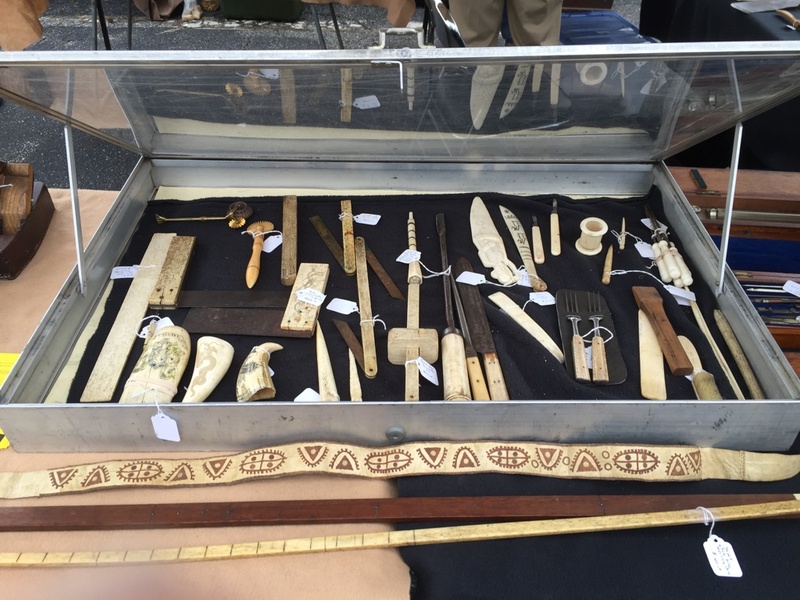 More of the Vendor with an extensive collection of tools make from bones and ivory. It was amazing to see some of the detail on these early tools. I almost made it out of the show without spending much at all but then two items caught my eye. The first was this nice Post Drill by Buffalo Forge. The drill looked complete, exceptionally clean (possibly restored but can’t tell for sure, so if it was restored it was a while ago). Even has a nice heavy vise grip style hold down — assuming that was a later addition, but works great and useful. It looks like this was one of the later produced models by the Buffalo Forge. I’m in the process of building a timber frame barn and want to get a bit more into Blacksmithing (took some classes at Prospect Hill Forge and down in NC with Peter Ross) and would love to dabble in it a bit more. Once the barn is standing I know right where this drill will get mounted. The drill gets mounted on a heavy post, hence the name and is powered by hand crank. You can adjust the throw of the crank lever. You can also turn the mechanism using the heavy fly wheel on the left but in general that is more to help keep momentum going. This model also has a gearing mechanism on top that will advance the drill bit as you turn the drill and is useful when drilling metal. 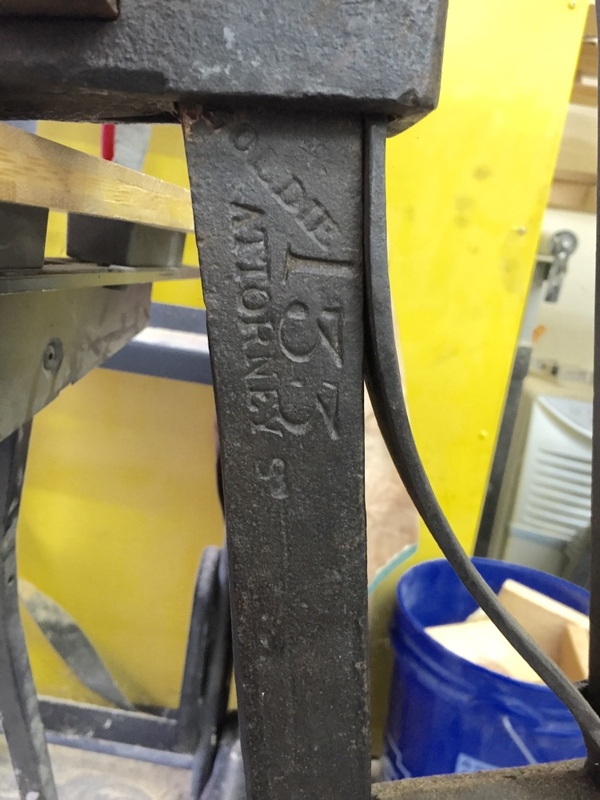 The same vendor also had a nice Leg Vise used for Blacksmithing that also caught my eye. The vendor was not at the booth and after waiting around for 15 or 20 minutes and going by some very VERY vague descriptions of what the seller looked like from neighboring booths, I posted my friend Ken (Thank you Ken 🙂 ) at the booth to keep an eye on my new treasures and went into the auction to search. As it turned out it was my friend Josh Clark of HyperKitten fame. 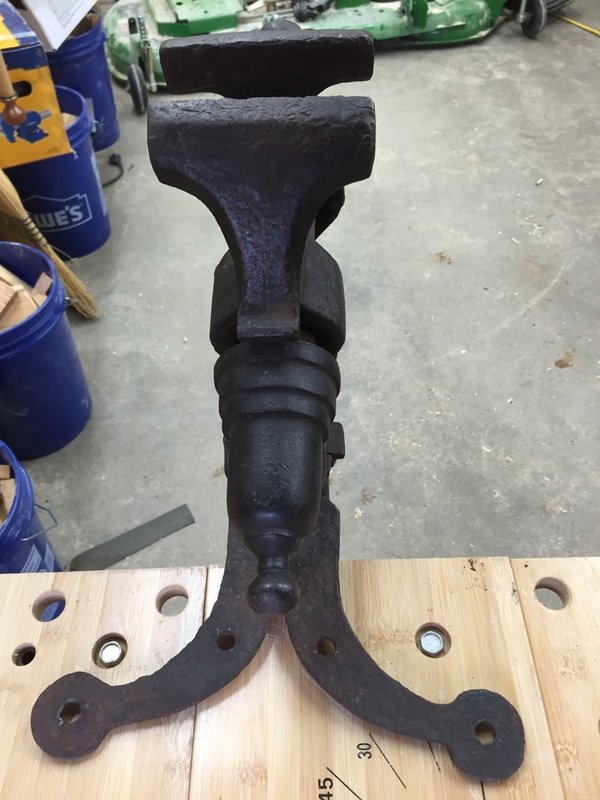 It’s a nice big leg vise with some nice details, working spring, reasonably clean jaws and still a good amount of life left in the screw. The vise had nice chamfered and some filed details and has a named stamp in it which reads “Goldie. 133 Attorney Street”. 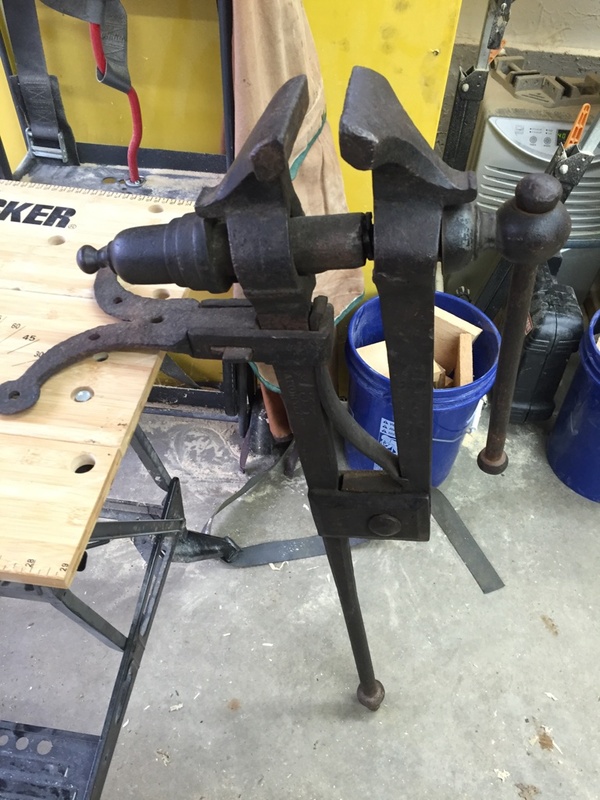 After doing some online research and in particular finding this post on a forum I was able to learn a little bit about this vise. The raised letter markings are “GOLDIE” AND “133 ATTORNEY.” He googled and found that the maker was Joseph Goldie located at 133 Attorney Street, New York, NY. I found Goldie in my Directory of American Toolmakers as a maker of “anvils, rules, and vises,” 1842-1849. The son, Joseph Goldie, Jr., made “miniature vises and anvils,” probably for jewelers. The big vise has the wrap-around U-shackle with its split and splayed mounting bracket. It has chamfered legs and pivot beam. It has a nicely turned “bell shape” on the screw box, not too unlike the Peter Wright’s. The tenoned vises were “composites.” The box was a forge welded tube with a coil of square-sectioned stock brazed within for the internal threads. The stops, to keep it from turning. usually two, were brazed on.The external portion of the box was composed of perhaps 3 rings that were brazed together and then lathe turned. A careful cleaning will sometimes show lines of brass left from the original brazing. 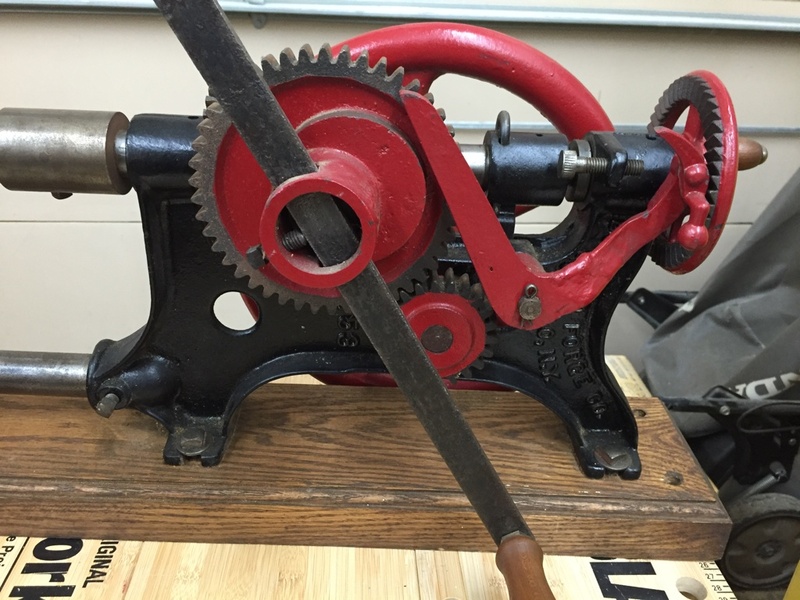 These old vises rarely exceeded a 4 1/2″ jaw width. The tenon for the mount was often rectangular in section going through a hole in the fixed leg. This necessitated having a hole in the leaf spring. To tighten the assembly, the tenon had a carefully placed slot in it to receive a wedge. The pivot beam usually had an unthreaded, headed bolt with slot to receive a wedge, not a nut and bolt. If there is a nut and bolt, it was probably added at a later date. All in all it was a good show, I saw a lot of old friends, picked up a couple of fun new tools for the shop and I look forward to the September show which is fast approaching.